“...this volume constitutes a very interesting, relevant and necessary insight into the legitimacy of courts entrusted with the task of reasoning and balancing rights. All chapters are of a very high academic standard and can be used not only by legal professionals but also by undergraduate and postgraduate students. …every university library should have this book in their catalogue. It can be recommended to a broad spectrum of law specialists interested in human rights and comparative law, European and international law as well as constitutional and administrative law. 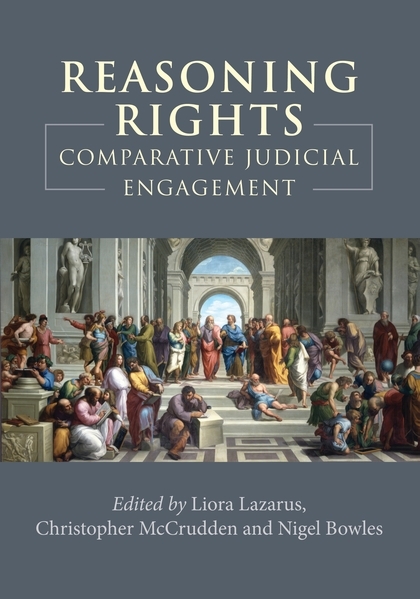 Liora Lazarus is an Associate Professor in Law at the University of Oxford, Member of the Centre for Criminological Research and a Fellow of St Anne's College. Christopher McCrudden FBA is Professor of Equality and Human Rights Law, Queen's University Belfast; William W Cook Global Professor of Law at University of Michigan Law School; and a member of Blackstone Chambers.